The Lake Wales Arts Center hosted N.E.H.S and his POP! Exhibit in the Michael Crews Gallery on 12/13/2018. The exhibit features his work with pop culture phenomena as well as his new “Journey of a Lion” series. Lake Wales Arts Center staff and NEHS hung the exhibit which took 30+ hours to accomplish. Each wall of the exhibit is designed to tell a story, including a “nostalgia wall” which features imagery from Duck Hunt and Galaga, as well as an “EYES” wall that is front and present when you first enter the gallery. The reception was a huge success! 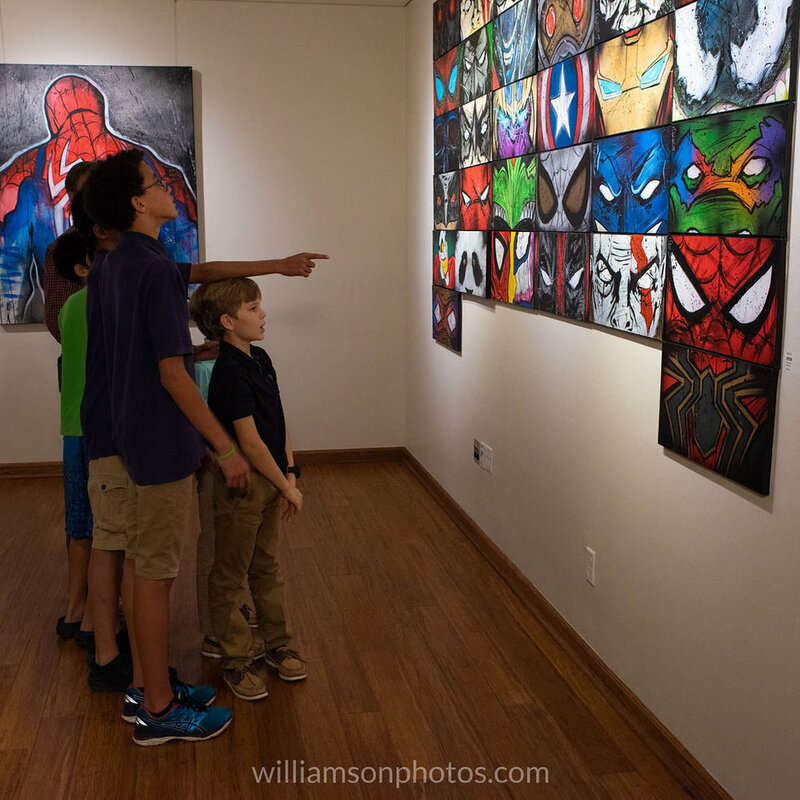 The Michael Crews Gallery played host to many new faces, including families that have never frequented the Lake Wales Arts Center in the past. Attendees enjoyed live music by local performing artist and guitarist extraordinaire Chase Dixon, as well as passed hors d'oeuvres and an open bar. The festivities concluded with a heart-warming presentation by NEHS. We hope that everyone enjoys this exhibit and comes back for multiple viewings during our normal exhibit hours of Monday-Friday / 9:00 AM - 4:00 PM. Most paintings are available for purchase! You can buy a painting for that special someone for the holiday season by stopping at the Lake Wales Arts Center and reserving your selection. Most works can be taken home on the same day of purchase! We hope that our community has a wonderful holiday season and a happy new year! ……and as always, remember to support your local arts organization!